Growing up, I was always afraid of the forest at night time. I was always convinced aliens lurked in the woods behind my parents’ house. If aliens were to invade, they’d certainly begin with rural Wisconsin. Then my friend’s dad used to tell us stories about a mythical beast. It was seven-foot-tall man walking around the woods with a pigs head, ready to kill us if we wandered off alone. I saw visions of the man for months after that tale. So, it’s not hard to see why the hodag story took off in the 1890’s. With endless Wisconsin wilderness, your imagination can get the best of you. 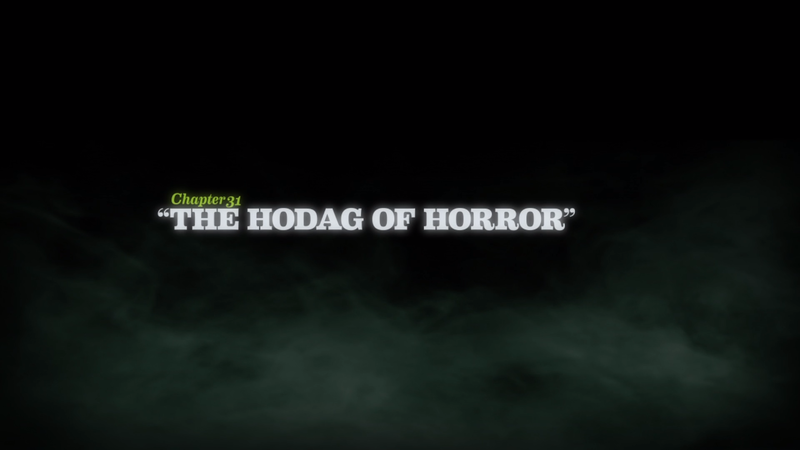 In the past few years, the hodag has become “fashionable” again. It appeared as one of the new North American beasts in Fantastic Beasts and Where to Find Them. And it’s the main monster in this episode of Scooby-Doo! Mystery Incorporated. This iteration of Scooby-Doo is a bit different. For one, there’s a long-running story arc along with the monster-of-the week. I found that slightly confusing (I’ve never seen a single episode bar this one). But I do understand one thing: cheese. One day in the gang’s hometown of Crystal Cove, the “Most Haunted Place on Earth”, a travelling curio wagon arrives. Shaggy and Scooby hop inside and explore the exhibits. That’s where they meet the fearsome hodag of Wisconsin. But not convinced by the cheap-looking suit, they leave. Later, Daphne’s sister Daisy finds the hodag in her room. Daphne gets a call, and the mystery-solving gang go to Daisy’s to investigate. She tells them that the beast stole the jewellery from her room, including an expensive ruby. Velma begins her sketch based on the description from Daisy, and Shaggy and Scooby immediately recognise the thief as the hodag from the travelling curiosities show. Upon returning to The Traveling Cabinet of Curiosities, the owner, Gene Shepherd shows the gang around. When they spot a locked box, he explains that he only opens it once a year. When he leaves, they all agree that he’s suspicious. Even I’m suspicious. That night, Daphne’s family have a cheese party. I’m not actually sure what’s the party is actually for, but I’m from Wisconsin, so I fully accept the existence of cheese parties. During the party, surprise surprise, the hodag attacks again. Only this time, instead of just jewels, the hodag also steals Nova, the dog that Scooby is in love with. The gang suspect Shepherd of the thefts, and return to his wagon where they find the loot. Even though he’s arrested, Velma isn’t convinced they’d really caught their thief. She reads up on the ability to train certain animals with the ringing of a bell. Before each theft the sound of a bell could be heard, and Nova wears a bell on her collar. Velma and Fred agree to set a trap for the real thief. They bait the hodag with a key, which it uses to open the chest. They then lure the hodag up a tower using more bells. Eventually the hodag is trapped. When the gang take off its mask, it’s revealed that it’s a monkey named Roberto. Roberto’s trainer, Mr Fussbuster, is the owner of the town’s cheese shop. He arrives holding onto Nova, and confesses that he trained Roberto to rob for him, but the monkey soon went out of control and began to steal bells. Fussbuster ultimately wanted Roberto to steal what was in Shepherd’s chest: a wheel of 500-year-old cheese. Scooby then hurls the cheese (the package stolen from the chest) at Fussbuster’s head, allowing him to save Nova. With the real thief caught, the gang try to give Shepherd his cheese back, but he no longer wants it because it’s cracked. He mutters that the cheese told him to go to the town before leaving in his wagon. Scooby-Doo always ticks the right boxes for me, and this weird, cheese-obsessed episode was perfect. For one, I love a celebration of strange, relatively-obscure folklore. Throw in masked monkey thefts and you’ve got me completely sold. So sold, in fact, I think I’ll watch the first series. Scooby, you lovable buffoon, you’ve done it again. Also, if you’re interested in reading more about the hodag, you can read up on him on the city of Rhinelander’s website. If you have any equally fun or interesting local folk legends, please share! As this post goes live, I’ll be lounging about somewhere in Italy. Lord help us all (especially you poor Italians) as my family traverses the country with the Italian-speakings skills equal to that of a Basterd. But I really do love Italy. So why the hell not do something Italian themed this week? Write about a giallo film? Pass. Finally get around to watching that copy of The Beyond that has been sitting on the shelf since the summer sales? We’ll pass on that too. Why indulge in something great when you can have The Scooby-Doo Show? 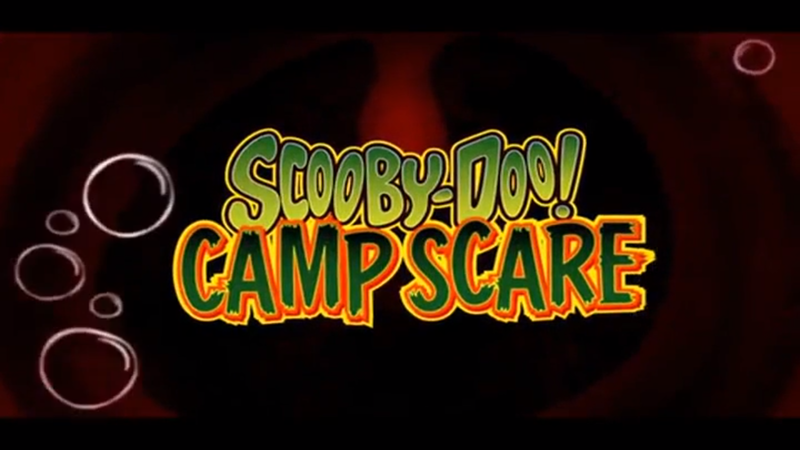 Actually a pretty fun episode in a sort of overly-stereotypical sort of way, as most Scooby-Doo is. This episode from 1978 offers all the good stuff: wacky chases, inexplicable trap doors and (of course) pizza. The gang are in Venice after an invitation from a friend, Antonio, who studies art AND owns a pizzeria! The gang arrive just as a figure steals a medallion from a statue in the opera house. The medallion, one of four, belongs to Antonio’s family, and have they’ve been passed down for generations. 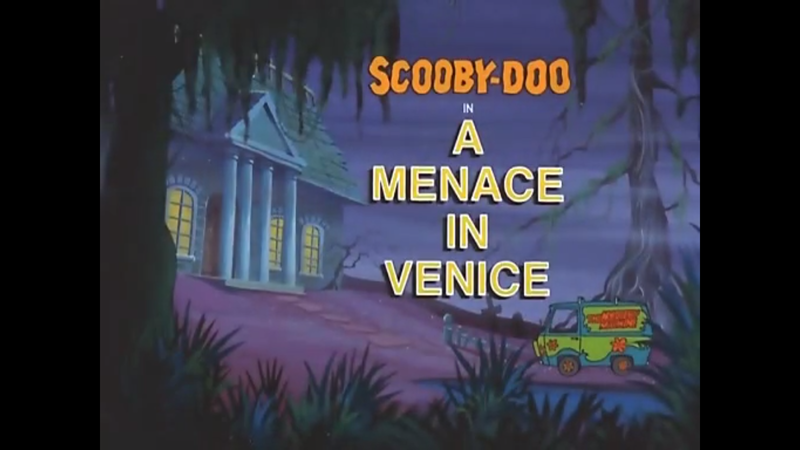 When the gang arrive in the city, Scooby and Shaggy spot the medallion thief, a hooded figure on a gondola by the name of the Ghostly Gondolier. Scooby and Shaggy and all the luggage end up in front of Antonio’s pizzeria where everyone else is waiting. Greeting them is Antonio, who has one of the triangular-shaped medallions around his neck. He explains to the gang that he had a famous ancestor, Doge Malvolio IV, who had a vast treasure. Only the fortune was lost and all that remained was the medallions. After receiving the news about the stolen medallion, Antonio takes the group to look at the portraits of his ancestors. He tells them that the only painting missing is that of Malvolio. Velma notes that the people in the portrait all have something in common with Antonio – their green eyes. But Scoob and Shaggy see a painting on the wall and instantly recognise the subject as the figure on the gondola. Professor Salari, Antonio and his friend Mario’s professor, tells the gang that the figure in the painting is that of the ghostly gondolier. The gondolier was sentenced to life imprisonment during Malvolio’s rule. He vowed to haunt the city forever. With the gondolier’s help, Malvolio’s enemies attacked the city and overthrew him, but the fortune vanished. Daphne tries on the medallion after hearing the story, and is almost immediately attacked by the Ghostly Gondolier. She’s grabbed and locked in a dungeon. 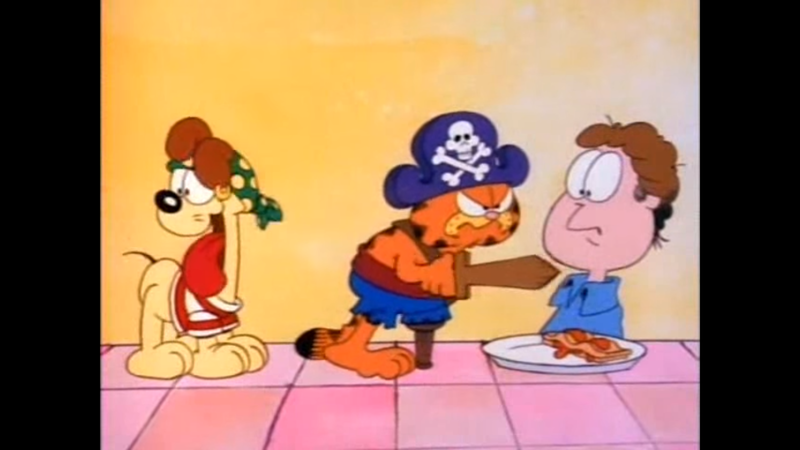 The rest of the gang plus Antonio and his friend Mario decide to split up and look for Daphne. Velma then finds her first clue in the form of a small canister. Back at the academy, they decide to look for the missing portrait of Malvolio, which they think will hold a clue to the medallions. During their search, Mario is grabbed, supposedly mistaken for Antonio. After Mario disappears, Antonio does as well, and Velma finds some red plastic on the ground – yet another clue for the only sleuth in the team. They follow the phantom’s footprints into the basement and find a gondola. They chase after the Ghostly Gondolier in another gondola, but the ‘ghost’ takes his staff and creates a hole in the bottom of their boat. Scooby accidentally goes flying, and ends up through a trap in the wall. He hits the fireplace, turning it around. Scoob finds both Antoinio and Daphne, and portrait of Malvolio is revealed on the other side. The portrait reveals that the four medallions actually connect to form one piece. The gang also notice that a symbol of the medallion is on a pillar in the painting, pointing the group to the Piazza San Marco. When they arrive, they see the Ghostly Gondolier running down the steps revealed by the trap door. They gang slip in behind the ghost and see that he’s found the lost treasure, but they’re caught spying when Scooby sneezes. The Ghostly Gondolier is eventually caught when he is trapped in a deflated inflatable gondola. The hood is removed to unveil Mario, who Velma says is also a descendant of Malvolio, but wanted the treasure all to himself. He hid the family’s signature green eyes with red contacts (for brown eyes), and used CO2 to inflate his inflatable gondola for a quick escape. After another mystery solved, the gang sit down to eat. Scoob and Shaggy both end up in the canal chasing their food. Just like I probably will – because no one can let a good sandwich go. I’ve only been to Italy once before and I’ll be in the Northern part, where I’ve never been before. I’ve long dreamed of a trip like this, but I can’t help but worry. Will there be large amounts of thieves and ghosts around? Does everyone in Italy own a pizzeria? As an American, am I only capable of eating cheese burgers and using bad language skills? Thank goodness we have casual stereotypes to sort us out. Yeah. Bet you didn’t see this one coming. Not every week here on Wicked Wednesday has to include death via basketball to the head or a javelin to the face. But really, this has werewolves, puns and it’s a made-for-TV movie with one of the best cartoon dogs ever. I love Hanna-Barbera cartoons. Much of our home is littered with little mementos of my love. 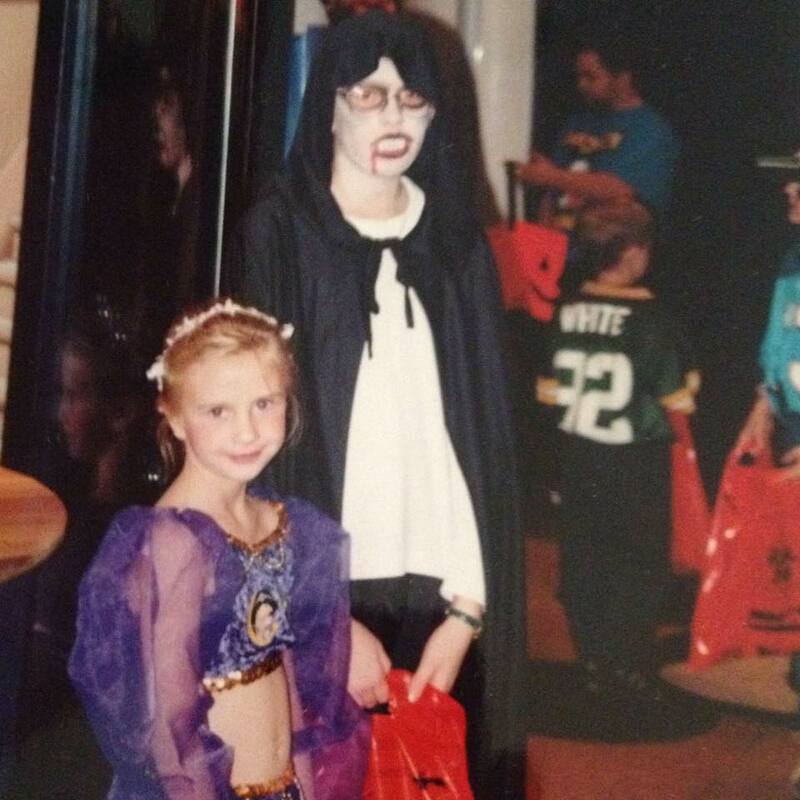 And of course Scooby-Doo was a huge part of my childhood, as I’m sure he and his gang were for a lot of people. I was born at just the right time that the first live-action film was targeted for me (and strangely, that was my first James Gunn film). There’s been countless made-for-TV movies, the one that holds the dearest part of my heart is Scooby-Doo! and the Witch’s Ghost. 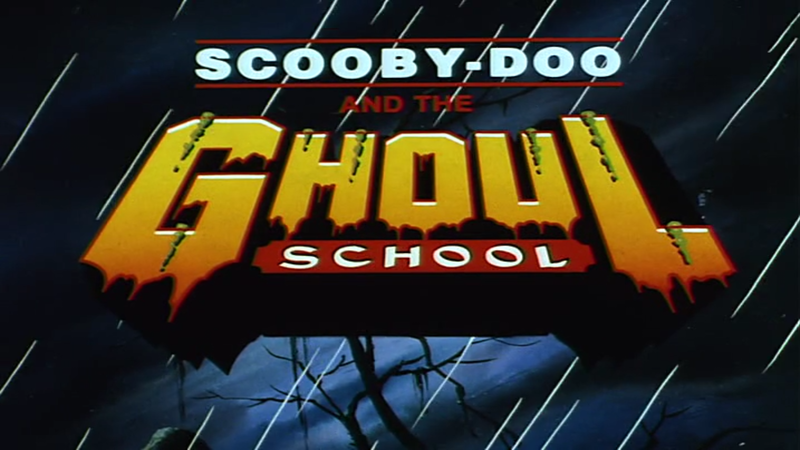 But Scooby-Doo and the Ghoul School is not that film. With an increase in competition and changing animation styles, the 80’s were not a great time for the studio. Unfortunately, this was made clear by the introduction of the endlessly-irritating Scrappy-Doo. The show was always silly, but this endlessly-punny 1988 movie really pushes it to the limit. It’s very much in the style of the cartoons from the decade, which were a whole lot less interesting than the show was in the 70’s. Plus besides Shaggy and Scooby, none of the gang make an appearance but we’re still stuck with Scrabby-Doo. Scooby-Doo and the Ghoul School sees Shaggy heading out to his new job as a gym teacher at an all-girls school. Of course it’s actually and all ghouls school. When Shaggy, Scrappy and Scooby show up, they’re a bit spooked to see that their students are in fact the daughters of the Universal monsters, their headmistress Liza Minnelli and her pet dragon, Matches. When they try to leave, the headmistress Miss Grimwood reminds Shaggy he signed a contract. Which makes me seriously doubt her hiring techniques if she things a skinny, stoner who loves to snack would be a good candidate for a coach. The boys have been brought to train up the girls for when they go head-to-head against the nearby boys military school. The “cadets” are mostly obsessed with saying “AFFIRMATIVE!” and have less dimension to them than a Care Bears character. But they serve as the foil to the ghoul ladies, so there’s that. The girls spend their time by training in ballet and running before facing off in a volleyball game. Here the show wins points for creativity. There are spiders making nets and an excellent octopus-butler who isn’t in this nearly enough. But while the girls play, they don’t notice that they are being spied on. The evil, multi-armed witch Revolta is lurking, waiting to harness the powers of the girls to become the “most powerful witch”. So I guess that means the students have bigger fish to fry than a volleyball game, but that doesn’t stop the film from showing us its entirety. FYI, the girls win and have a party with their monster dads. Revolta moves her plan into the next phase by making one of her spider-bats hypnotise Shaggy. What’s the evil she’s up to? Well, he’s been convinced to take the girls on a field trip to a bog. The horrror! At the bog, the spider-bats capture each girl and spin a sort of web-headset over each girl’s ears to brainwash them. They believe their sole purpose is to serve Revolta, and off they are all snatched away and brought to Revolta’s castle. Though thankfully, before they leave the bog there’s plenty of 80’s quicksand action, which is entirely necessary. Shaggy, Scooby and Scrappy head off to the castle to save their students. Here Revolta reveals her plan to make the girls evil forever with a potion she’s brewing up. And if the gang can’t save the ghouls before midnight, every ghoul in school will be Revolta’s slaves. The ending is very much traditional Scooby-Doo style: lots of running around and silly antics. Shaggy gets trapped in a mirror. Weird were-Shaggy runs amok. Scooby is mistaken for a mummy. Everyone plays ball with a well-dwelling monster. There’s trap doors a plenty. But of course the idiots save the day by complete accident with the help of the cadets. But that’s it really, playing out exactly like an extended Scooby-Doo episode. In the end, the girls are pretty cute characters. A show set in the school would actually be pretty great, if done in a sort of Munsters vein. 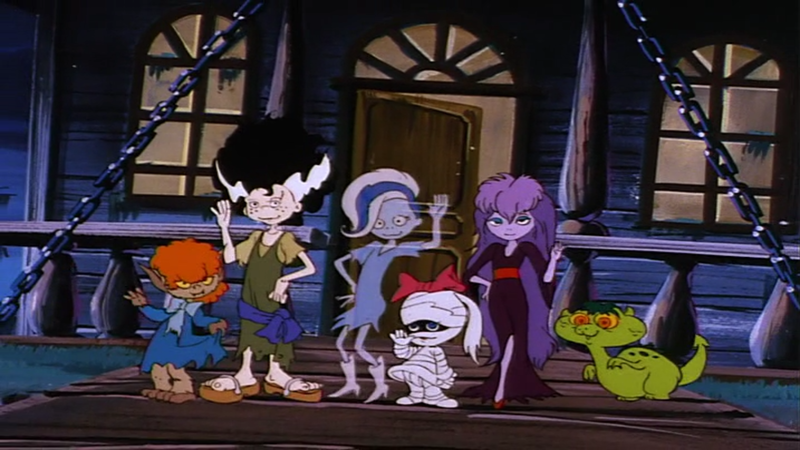 But unfortunately, Ghoul School ended up being mildly irritating more than anything. The voice acting for some of the girls was just not great. Plus I was never a huge fan of Shaggy and Scooby without the Fred, Velma and Daphne. While the two are definitely the stars, their personalities were always better balanced with some basis in reality, and the Calloway cadets don’t really cut it here. The character designs, though, were impossibly cute. 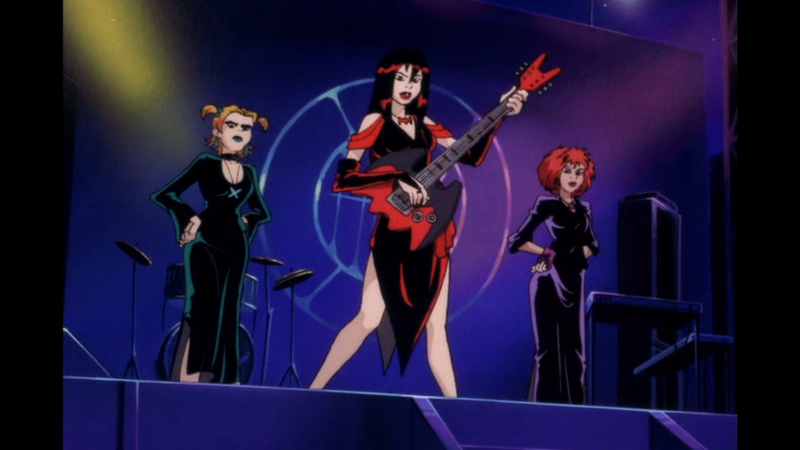 Bonus points for mega-cool ghouls. Plus if you’re super into puns, this is exactly the movie for you. It’s difficult to move two lines without some sort of pun involved. Seriously.